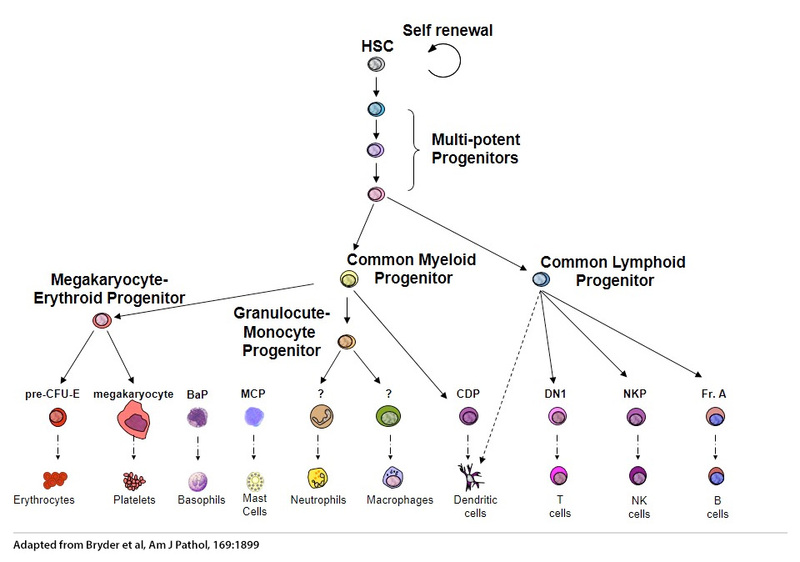 The adult stem cell precursor to B cells and all other blood lineages is the hematopoietic stem cell. These hematopoietic stem cells are the only types of stem cells in routine clinical use to date, largely because they can home back to the proper bone marrow environment if injected intravenously and regenerate all blood lineages. The mechanisms by which these stem cells make fate decisions are not fully understood. Our lab studies transcriptional, metabolic, and extrinsic cues that guide the development of downstream blood lineages.